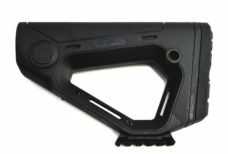 Nuovissimo calcio Hera Arms mod. 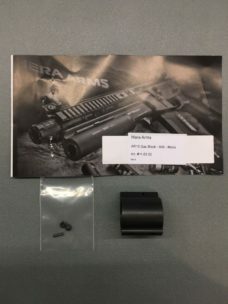 CCS, per buffer tube mil-spec, dotato di pulsante di sgancio per la regolazione. 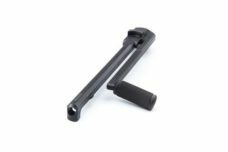 Calciolo in gomma, slitta picatinny (removibile) posta sotto il calcio per il montaggio di monopod. 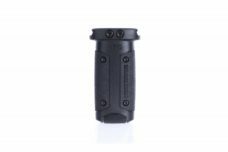 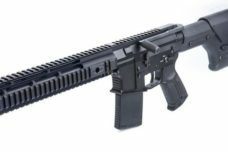 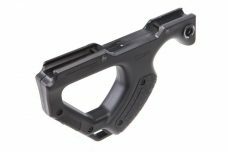 Designed for the cilian market as well as LE/Military, to create one of the most rigid and compact Rifle Systems based on the widely available AR15 Plattform. 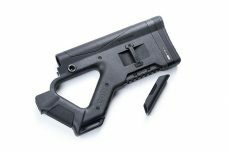 The CQR Riflestock is a easy to install replacement buttstock for Mil-Spec AR15 Rifles using a Mil-Spec (recommended) Carbine Buffertube. 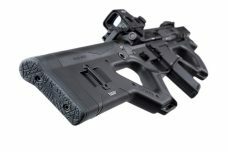 In combination with our CQR Frontgrip, operators will get a lightweight, compact and ergonomic SBR System. 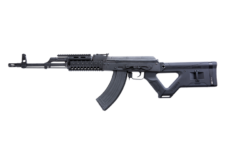 Designed for the cilian market as well as LE/Military, to create one of the most rigid and compact Rifle Systems based on the widely available AK47 Plattform. 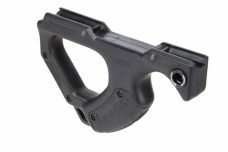 The CQR AK Riflestock is a easy to install replacement buttstock for stamped AK47 Receivers. 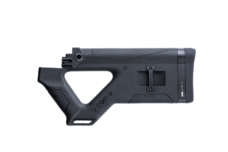 In combination with our CQR Frontgrip, operators will get a lightweight, compact and ergonomic Rifle System. 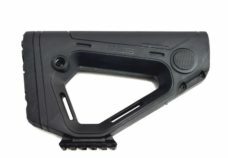 The Hera Arms left side charging handle for straight-pull AR15 rifles is designed for rapid operation of a straight-pull AR15, the lever is angled downwards to provide clearance for scope mounts. 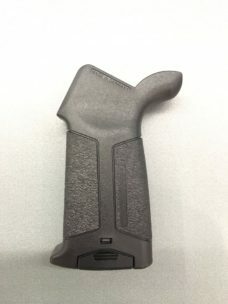 No gunsmith fit! 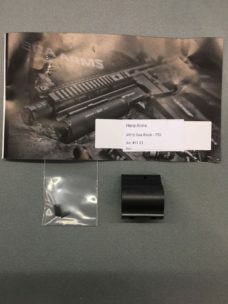 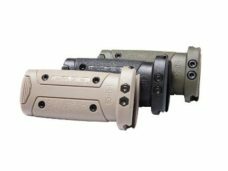 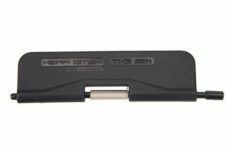 It is a simple drop in replacement of the standard ‘T’ charger and requires no machining or milling of the receiver provided you have a standard mil-spec receiver and bolt carrier.